Same idea, same cold cuts, on a nice italian ring bread with sesame seeds. Elmo - Used to shop at Claro's in La Habra as well, just over the hill from Rowland Heights - forgot their Sandwiches were so inexpensive. Used to go to Hacienda Village meats for sandwiches too, though I thought the pasta there was terrible. Elmo-Claros also has some great Italian finds like Lupini Beans. Kind of like a brined fava bean that you snack on. I got hooked on them while in Italy. They have real proscuitto di parma and san danielle as well. The old lady that usualy works behind the counter is a sweetie too. I havent tried their other prepared items but they seem to be relatively popular with the people that shop there. I saw the cannolis there too. Tempted to buy one, since it looked really good. Next time definitely! I lived in La Habra for a while and passed by that Claro's on Whittier at the end of Euclid probably a thousand times, but I never stepped foot inside it. This was my first trip to Claro's in Tustin. What took me so long?! This totally was a new experience for me. I'm glad I finally tried it. I did see the proscuitto! Looked amazing! This is so far the best blog i've seen, delicious u might say! got one question for you if you dont mind sharing, what kinda camera do you use, you just take incredible pictures! your food pix makes me wanna lick the screen! I'm impressed. I frequent the Claro's in Arcadia. I knew they had some other branches, but I figured they'd be pale imitations, since the Arcadia store is so elementally, soulfully funky. But it looks like they actually can duplicate the experience without going all fake and plastic about it. Bravo! I was similarly impressed the minute I walked in the door...one of the first things I noticed were the packages of pizzelles stacked near the entrance. Claro's had me at the pizzelles, as Renee Zelleweger might say. I am Italian, a native of NYC, and have also lived in another Italian haunt, Philadelphia. Claro's is the real deal. Thanks for your comments! 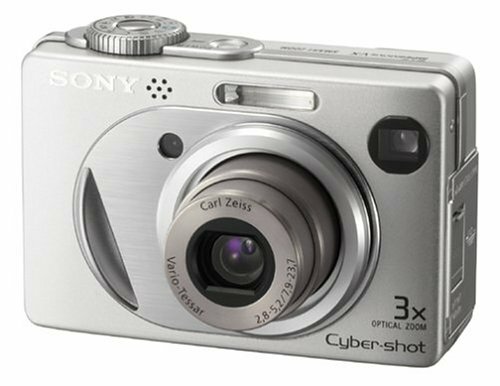 As to your question, I use a Sony DSC-W1. It's a run-of-the-mill digital camera. Good ambient light and the macro feature works wonders for food pictures. But when it comes out too dark (i.e. in candelit restaurants) I sometimes resort to color correction using photo editing software. Yeah, it seems like this Claro's in Tustin is definitely not faking it. The people who work there are so friendly and accomodating. They genuinely care about you. It feels like a small-town butcher shop, where they will learn your name and remember it and what you like. Yup...I am going to be a regular here. So much good stuff, but no pretentiousness. sounds like a great place--i love places like this! btw, love the oscar and felix analogy! Yup. It's just one of those gems that I'm glad to have in my neighborhood. Now all we need is a place like Portos! Unfortunately, being that it was my first trip and I wasn't looking for anything in particular (except a sandwich for my lunch), I didn't pay enough attention to see if they had penne in particular. But if I had to guess, I would say yes. It seems they've got just about anything Italian imaginable. Give em a call though. They'd be glad to help you out. 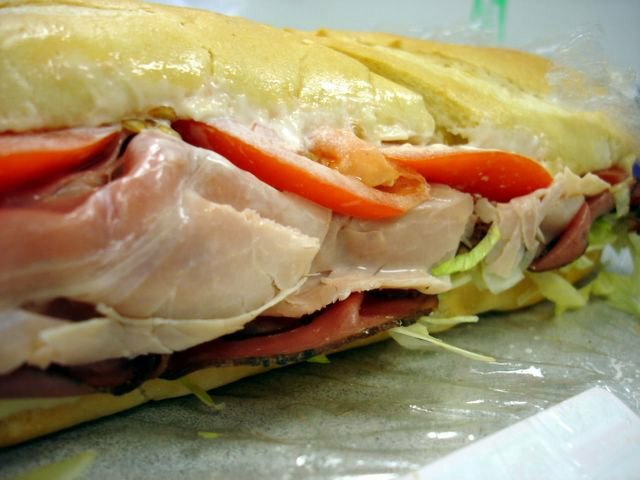 The best Italian food since I left Trenton, N.J.
i tried claro's sandwich and thought the bread was too dry. their desserts were great though. there's place in orange call Mattern Sausage & Meats that has awesome sandwiches. it's a german deli place that sells all kinds of deli meats and cheeses. they have the best made-to-order sandwiches for $3.50 with sweet pickles on the side....addition $.60 for cheese. if you're ever around the area, give it a try! I love Tustin! I call Irvine the plastic city because it has no chrime or history. They demolished their Irvine Ranch homestead. Tustin has character! Nice market but they refused to make me a sandwich and offered a pre-made one, which doesn't cut it, so I always drive the extra mile to Cortins's, in Anaheim, which has sandwiches to die for. 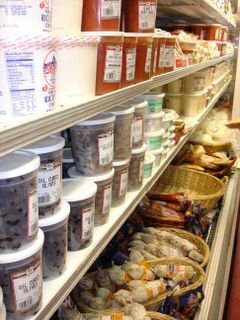 We get all our parmigiano reggiano cheeses from the La Habra location, and crack open their refrigerator to grab a hunkin' bag of fresh/raw sweet or spicy sausage links. I live in La Habra and Claro's is one of the real treats of the city, the smell is wonderful as you walk in, the staff extremely friendly and helpul, selection impressive, I even bought kid goat there and prices very fair. Thank you for this posting. I LOVE a great sandwich, and after living in Irvine for 4 years without having a really great sandwich, I was thrilled to try Claro's delicious sandos. It makes me wish I wasn't moving in a month.